This page is dedicated to mapping and rediscovering the history of Minnesota's historic trunk highways. If this is your first time here, I suggest taking a look at the site information for some background, the methods and sources I use to do my research, and my reasons for undertaking this project. For some basic information on Minnesota's Trunk Highway System, check out the Minnesota Highway Primer. 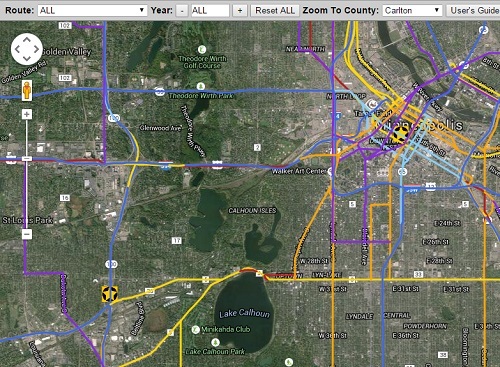 Explore the history of Minnesota's highways with this interactive map. View all historic roads, or limit by year and/or route! Old alignments, history, and pretty much everything else you'd ever want to know about Minnesota's most famous highway! 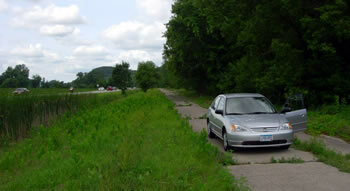 Historic Highway Tours - Detailed tours down various historic roads in Minnesota using maps and photos. Also includes historic roadsides and bridges. Route Guides - Pages dedicated to specific routes through Minnesota, bringing together histories, interactive maps, and collections of highway tours. Official Highway Maps - A guide to the history of Minnesota's official highway maps. Includes an overview of the evolution of the maps from 1923 to today.